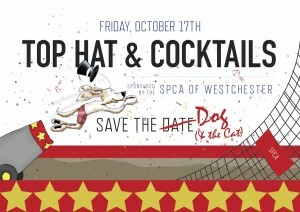 The SPCA of Westchester collared us to create the branding and the print material for their annual fundraiser: Top Hat and Tails. We had so much fun with the project last year, it left us itching for more. Thankfully, this year we got to let down our hair and have some fun with the project again. We’re hoping if we continue to be on our best behavior, we’ll get to run with their pack again in 2013.